Sydney student accommodation is competitive. We’ll help you get a place even before you arrive. We take the hassle out of finding a great place to live in Sydney. If you’re an international student planning to study at any Sydney institution, we can secure you fully-furnished student accommodation before you arrive in Sydney. We’ll even pick you up from the airport and take you straight to your apartment so you have more time to enjoy the famous harbour city. Sydney is one of the most popular and expensive cities in the world. Finding a great apartment can be competitive, especially in locations close to major universities and the city. When you book through us, you won’t need to compete against other newly arrived students who are also looking for accommodation close to campus. If you are coming to Sydney for a shorter period during the academic year (shorter than a semester, which is typically 3-4 months), or during the Australian Summer (December and January), we are able to offer short-term and Summer accommodation. Just click on the “Book Now for Summer/Short Term accommodation” and provide us with your housing dates, and we can provide you with some options! 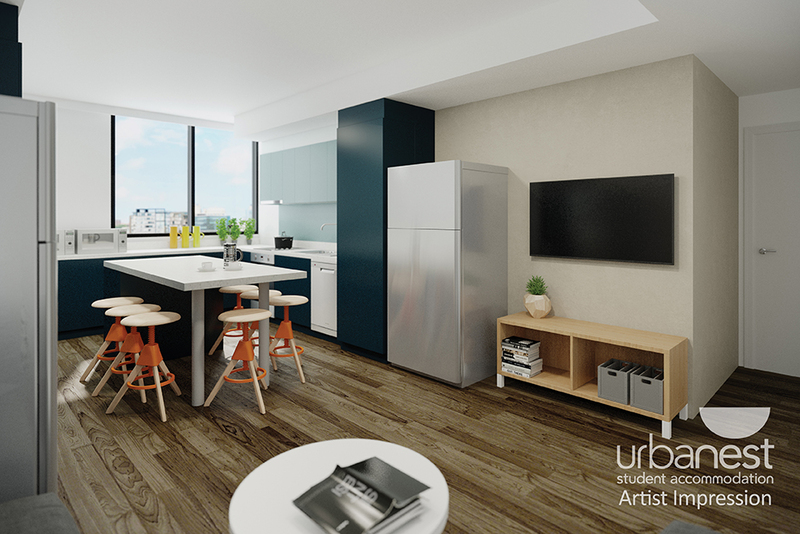 Located in famous Darling Harbour, in the heart of Sydney, this purpose-built student apartment complex is the perfect base for exploring all that Sydney has to offer. As an added bonus, they’re an easy walk to the University of Sydney’s main campus in Darlington/Camperdown and UTS. And the best feature? By booking with SiA, our students avoid the wait-list and have a guaranteed room, get upgraded unlimited internet (instead of 100Gb of internet per month), all your linens and kitchen items included (instead of having to purchase separately) and all the services that SiA offers (Airport Reception, on-site Resident Director, Arrival Service, Semester activities, etc!). 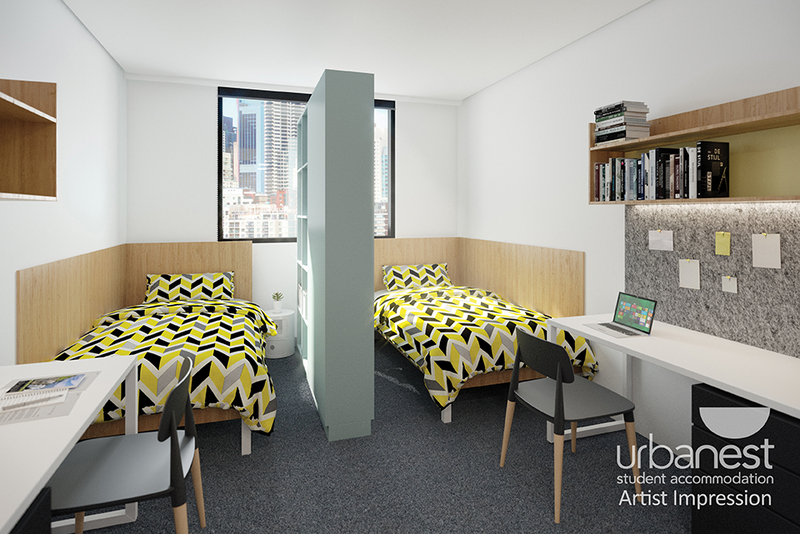 Students love the iconic Sydney location and having everything included, such as all linens. The complex is super modern and students love all the conveniences provided on-site, like a roof-top BBQ area and a fully equipped gym! right at your doorstep! Easy walk the city, public transport as well as to the University of Sydney Darlington-Camperdown campus as well as University Technology-Sydney. 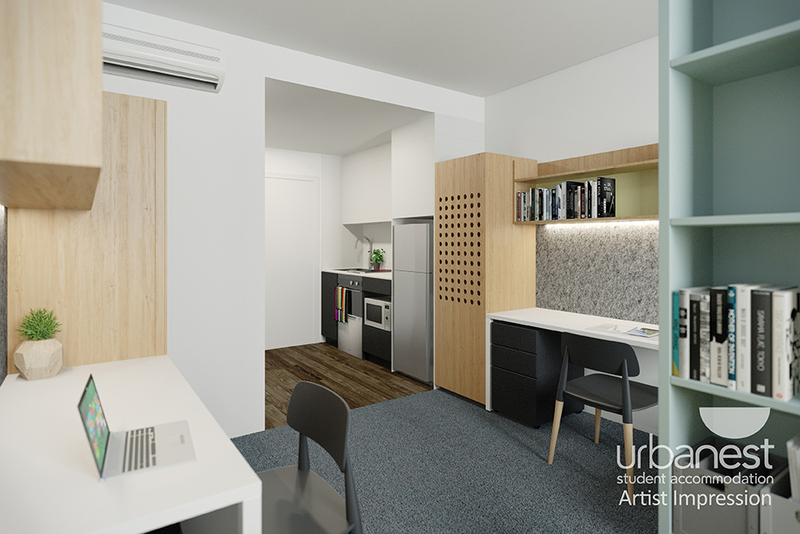 Shared bedroom (two single beds) and private bathroom in an 4-bedroom/8 Student Apartment: AUD$9,500 (approx USD$6,750) per student, per Semester. The Semester Housing Fee is per student, per Semester (typically February - end of June, July - end of November. Specific dates will be outlined in your confirmation email upon booking). This accommodation comes fully furnished and Semester in Australia includes a Linen Pack and Kitchen pack for each of its students. with a washing machine and all cooking facilities. Plus, utilities, including wireless internet, gas, water, electricity are included in your housing fee. We even professionally clean each apartment before you arrive.